Today we are going to give in this post, how to fix the charging problem in the hardware of Samsung Galaxy Y Duos S6102 by jumper way solution. In this type of problem you can not charge your mobile phone. So, If the phone is damaged above the reasons and resulted to no charging indication or charging IC is Warming. 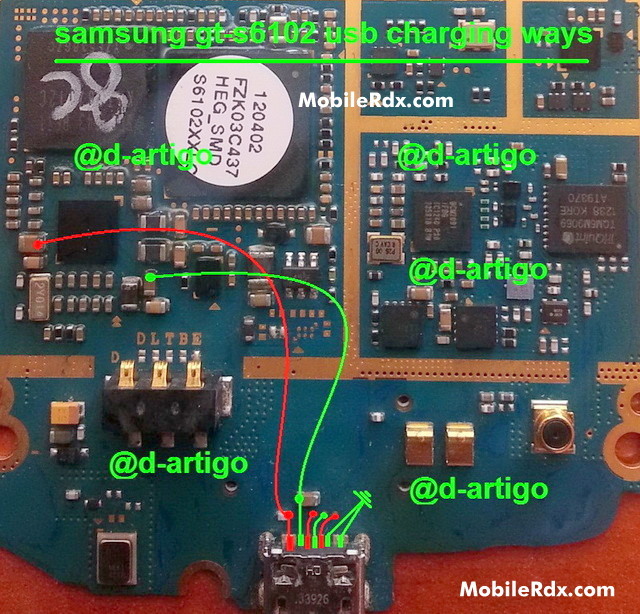 therefor we give solution for Samsung S6102 charging is not working and we believe It is very helpful for you. follow our induction to FIX this problem.